When it comes to media, the overwhelming majority, nearly 80% of critics published in major outlets are male, even though women make up half the audience. 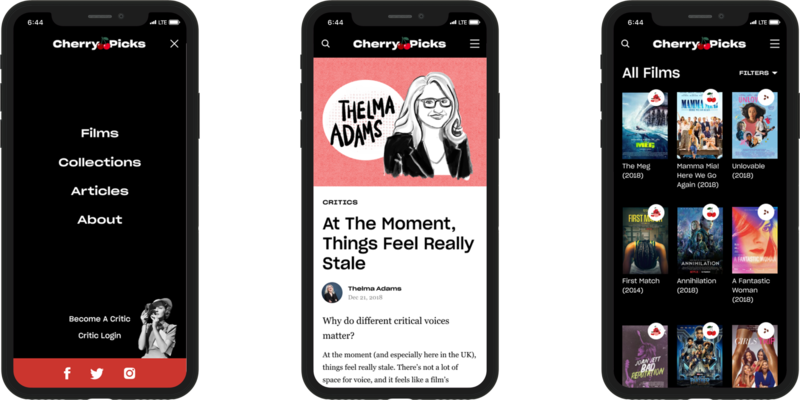 CherryPicks is a new voice in the critical conversation, highlighting and promoting writers and critics who examine media and entertainment through a female lens. 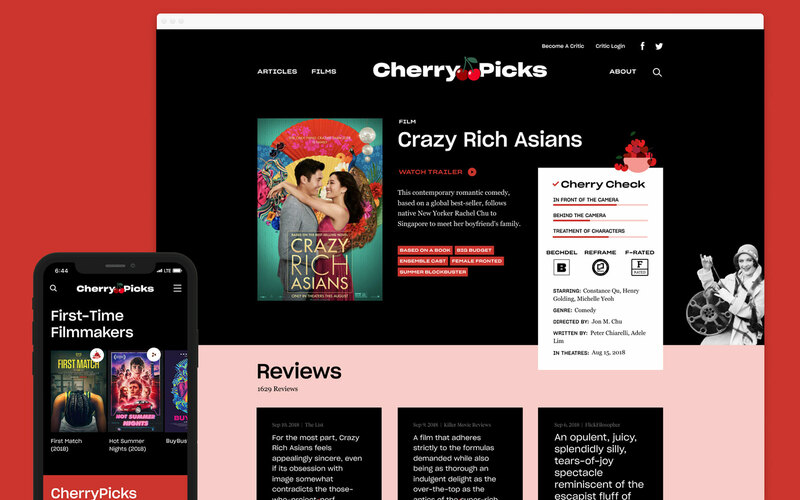 Together with the Cherrypicks team, we helped define the brand, design and develop the website, and supported the launch in October of 2018. 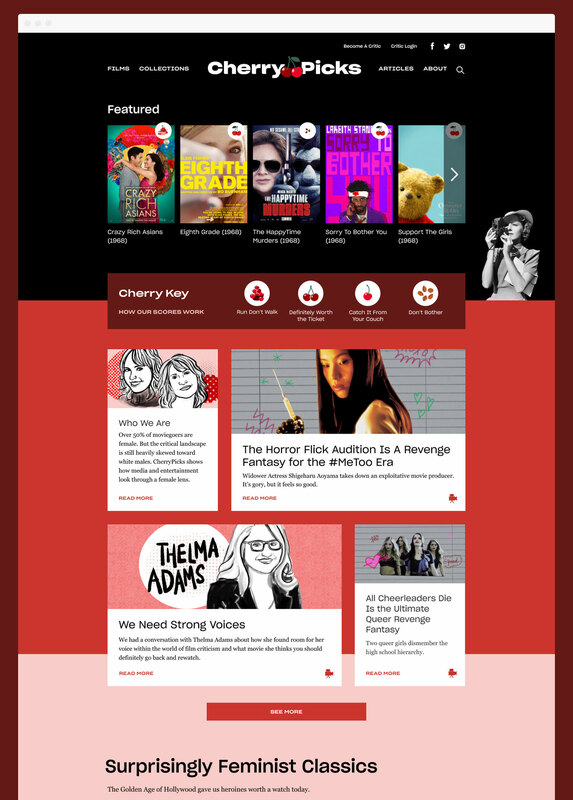 With coverage and compliments from Refinery29, Mashable and The Hollywood Reporter, there's a bright future for gender-balanced criticism.